Where are you from, where are you now, and what’s the furthest from home you traveled in the past year? I am from the Netherlands. Right now I am with at the house of my boyfriend. The furthest I traveled this year is to London I think. I don’t travel so far when it is not summer (And not so much in the summer also). Have you done 24in48 before? How many times?! If it’s your first time with us, where did you hear about 24in48? I have participated before. I haven’t won before. I think I have participated two or three times. Are you readathon-ing alone? If not, who are you doing 24in48 with? No one is participating with me. However I am at the house of my boyfriend, so I have family, a cat and a lovely boyfriend who are keeping me company some parts of the day. What book are you kicking 24in48 off with? The House of Hades by Rick Riordan! I want to begin! Let me begin! Hufflepuff! But I am actually really a Huffleclaw, or a Ravenpuff. Here! On my blog mostly. And that was it! Off to reading! And we are already three hours in. How is it possible? The time is going so fast! I like reading The House of Hades! It is really amazing. Exactly what I was expecting (maybe because I have already read this book in the past). Now it is time to wake up my boyfriend. Try to make him make breakfast for me and maybe grab a cup of coffee. If you are also participating, how are you doing? Is your readathon going okay? Six hours. We are six hours in the readathon. It is amazing how fast the time goes. Really. In the mean time I have done a run (also, I couldn’t get my boyfriend to make breakfast. Hopefully it works for lunch). I have listened to Harry Potter and the Prisoner of Azkaban while running. Therefore I made a switch from The House of Hades by Rick Riordan to Harry Potter and the Prisoner of Azkaban. But that is okay. It was nice to switch and it was nice to listen instead of to stare into a book. After lunch I will go back to The House of Hades presumably. The books by Rick Riordan are so funny. Even this first sentence is funny. It made me think: ‘Wait…. What?’ Okay. Now off to some more reading and pushing my boyfriend to make me lunch. I have not been here for a few hours, but that was because I was reading! I finished The House of Hades! It was really amazing! I liked it. It was funny, exciting. I don’t want to give many spoilers but there were nice and interesting plot-twists. I really liked it. After I finished this part of the blogpost I will continue reading Harry Potter and the Prisoner of Azkaban. For the 12th hour there was another challenge. For this challenge I need to share a book that expanded my worldview or changed the way I look at something. Now I have to be honest. I don’t read a lot of books that are really mindblowing on the worldview subject. I mainly read Young Adult, so it is all a little flat in my opinion. 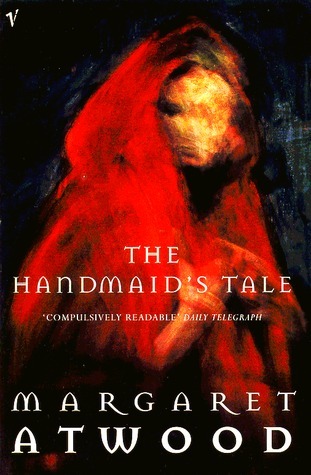 However, I want to talk about The Handmaid’s Tale by Margaret Atwood. This book is a sort of dystopian novel in which women have no real rights anymore. The main character has the instruction to get pregnant from the baby of her master, she has the command to carry the child of her master and his wife. This book changed my worldview, because it shows inequality. It does not only shows a horror scenario which is possible in the future, but it also shows the inequality today. It really changed the way how I see the world. It is so late. I am now 296 pages into Harry Potter and the Prisoner of Azkaban. I am at 12 hours and 21 minutes of reading. I am tired and I am going to bed. Good night y’all and see you again tomorrow for some reading! Time to write an update again. I have read this morning from approximately 7 a.m. until now. I have finished Harry Potter and the Prisoner of Azkaban! I partly listened and partly read the book physically. It was really nice. Of course I knew what was coming, but that made it very relaxing. Now I have started reading Beautiful Chaos by Kami Garcia and Margaret Stohl. I am not sure if I will like it. This series has been frustrating for me. But it will be okay. Hopefully I will finish it in time! Now back to reading again! We are already a few hours further. I am still reading Beautiful Chaos. It is quite amusing. I like the feeling of this book. I like the ideas with Casters. I like how sinister it is, how… closed it is. While reading the first two books of this series I was very frustrated with the characters, and that is still the case with this book. But I like it, so I will reading on. I have until tomorrow 6 a.m. to read for another 6 hours, so that will be possible. I hope I will finish this book, maybe start another one. See you at my next update! And it is over! It is already the next morning, because I was so tired that I went to bed immediately after I got to the 24 hours. So yes! I did it! I read for 24 hours this weekend!! It was really amazing. I finished Beautiful Chaos at half past 2, yes that late. I liked the book. There were frustrations, but in the end I was sad thatit was finished. AND THAT CLIFFHANGER! After Beautiful Chaos I needed to read only half an hour more, so I started reading The Book of Moons by Elizabeth Hand. The last thirty minutes were the most difficult. I was so tired. Almost fell asleep a few times. But I did it! I am happy with this readathon. I was able to read three full books and I am quite proud of myself. See you at the next readathon?